North American wildlife, like grizzly bears, owls, deer and salmon, all turn up on Aristocrat Gamings’ Alaskan Storm pokie, which can be found at casinos across the USA, Australia and beyond. Laid out across a standard 5 reels, it comes with the Xtra Reel Power feature that makes it easier to win a prize, while wild and scatter wins, along with a free games and multiplier feature should be more than enough to get players flocking to the game. 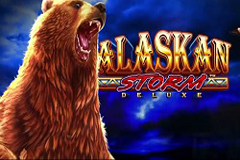 It’s beautifully designed, as are most games from Aristocrat, with an image of the Alaskan wilderness behind the reels, although fortunately no storm clouds to spoil the view, while the actual reels take up the lower half of the Helix cabinet, with a roaring bear and the game logo above. Players can choose to place a standard wager of 50 coins on this game, or go for a Bonus Bet that enhances the free spins round. It’s a fairly easy pokie to play, as symbols just need to land on adjacent reels running form the left side to create a winning combination, and their positions on each reel doesn’t matter as long as the line is unbroken and at least 3 are in a row. Bigger payouts come from landing 4 or 5 along the reels, and the amount won depends on which symbol makes up the line. With 4 rows of symbols on the screen, that equals an impressive 1,024 potential ways for symbols to line up favourably. The playing card symbols from 9 through to A will create the lower value wins, although this also means they will occur more often, so players won’t be spinning the reels for ages before getting some sort of return on their wagers. The picture symbols of course pay more, with the bear being the most valuable of them all, returning 5 coins when just 2 land on the reels, with 3 bears being worth 50, 4 of them pays out 100 and a full line of 5 is worth 500 coins. But it’s not just a matter of spinning up these combinations, as there are a couple of bonus symbols that create extra wins and trigger the bonus games. There’s a wild symbol, although it only appears on reels 2 and 4, so it’s not going to be able to create a line on its own. 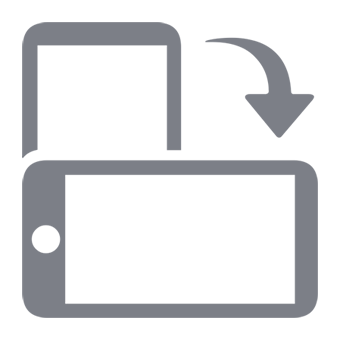 It will however, substitute for all but the scatter to help complete lines of other symbols, while also being able to extend lines for a bigger payout. Gold coins decorated with an eagle emblem are the scatter symbol in this game, and they won’t need to appear in any particular positions to reward players with a prize that will be multiples of the total stake, not just coins. If 3 scatters appear at once, the payout is equal to 5x the total bet, while 4 will return a prize of 20x and anyone lucky enough to see 5 gold coins at once will get 50x their stake back. These also trigger the free spins game, which is a little different to most as players get to pick a mix of spins and multipliers, although this only applies if the optional Bonus Bet has been made. Anyone who likes lots of free games can choose to have 21 play out, during which any wins made with the wild symbol on reel 2 will be doubled, and any from the wild on reel 3 will be tripled. If it’s on both reels, the win will be multiplied by 6x. The other options see fewer spins, but ever-increasing multipliers, culminating in just 6 spins, but multipliers of 5x, 10x and combination wins of 50x. It all depends on personal preference, but the overall return to players is about the same whichever free spins round is chosen. If just 2 or more gold coin scatters land at any point during this round, a few extra free spins are won, and if 3 appear, once the current spins have finished, the whole process starts again. The North American wildlife theme is prevalent across lots of pokies, including several from the same developer, but they must know what they are doing, as these games seem to attract plenty of interest. Alaskan Storm is a good-looking game that has the typically high quality design that Aristocrat are well known for, along with the slightly unusual bonus features that many of their pokies come loaded with. So, anyone looking for a reliable game, where they should see plenty of winning spins, and potentially big rewards, should look out for Alaskan Storm.